David Stern was born in Bavaria in 1820 and immigrated to the United States in the 1840’s. David Stern lived in New York and may have spent a few years in the South before coming to California. In 1850, he married Fanny Strauss, sister of Levi Strauss, probably in New York. 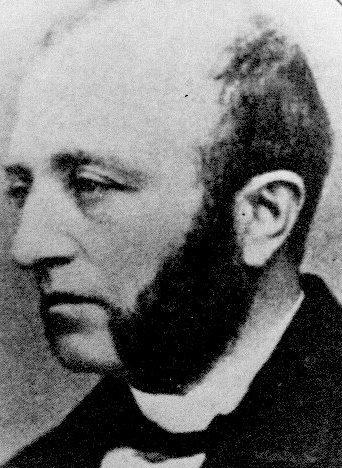 In 1855, David and Fanny Stern and their first two children, Jacob and Caroline, joined Levi Strauss in San Francisco. 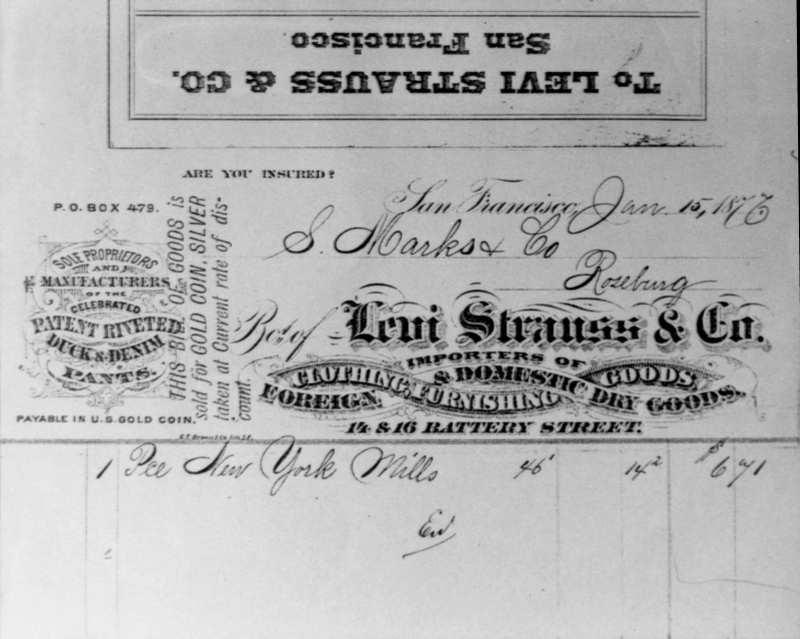 In 1860, the company’s name became Levi Strauss & Co, located at 315 & 317 Sacramento St.
David Stern managed the fast-growing fabric firm for a number of years, while Levi Strauss was sales manager and promoter. Tailor Jacob Davis, of Carson City, Nevada, purchased denim cloth Levi Strauss & Co. and affixed them with metal rivets. Thereafter, they began manufacturing the clothing for which they are so well known. Levi Strauss and Co. was incorporated with the State of California in 1890. David Stern was a member of the Eureka Benevolent Society and Congregation Emanu-El. David Stern and Fanny Strauss Stern had 8 children: Jacob and Caroline, born in New York, and Henry, Sigmund, Louis, Harriet (Hattie), Abraham, and Lillian, born in San Francisco. David Stern died in 1875 in San Francisco, at the age of 54. Jacob, Sigmund, Louis and Abraham Stern became officers of Levi Strauss & Co. In 1890, Levi Strauss was the company’s president, Jacob Stern was first vice-president, Sigmund Stern was second vice-president, Louis Stern was treasurer, and Abraham Stern was secretary. After Levi Strauss’ death in 1902, Jacob, Sigmund, Louis and Abraham became the owners of Levi Strauss & Co.
Norton B. Stern, “David Stern,” Western States Jewish History 41/2. John Michael, “Levi Strauss: The Man – Without All the Myths,” Western States Jewish History 45/3. Thanks to John D. Michael, M.D., great-great-great grandson of Hirsch Strauss (Levi Strauss’ father) for family information. Most of the early materials of the Strauss and Stern families were destroyed in the 1906 San Francisco Earthquake-Fire.